Techienews.co.uk is a one-stop online destination for to the point science, technology, health and business coverage which caters to appetite of every online reader through content which we have is assimilated from various resources. Techienews.co.uk reports the latest in science, technology, health and business news, and analysis. At Techienews.co.uk we know how much new discoveries and advances in each of the above areas matters and understand the need for keeping pace with rapidly advanced world. Owned and operated by Parity Media Private Limited, Techienews.co.uk brings to you news from science, technology, health and business spectrum by gathering, analyzing and presenting only the important news without you having to waste your precious internet time. You can get in touch with us here. I am Ravi, and they say that I call the shots (or do I?). I am acting editor of technienews.co.uk and I am responsible for deciding what goes on Techie News and what doesn’t. I have over four years of experience in online news publishing and by education I am an information security professional. Hey guys, I am Vinay and I not only contribute to Techie News, I am also assigned with responsibilities as an Editor for Business and General Technology news. Ravi says I call the shots, but do I? 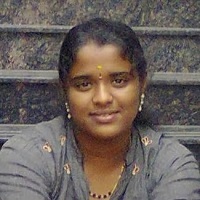 I am Mittal and I have been assigned with the task of contributing social networking, web and internet news and analysis. It’s actually me who calls the shots around here! I am Abhishek and I basically eat, drink and sleep gadgets. I actively contribute towards news and analysis about gadgets. 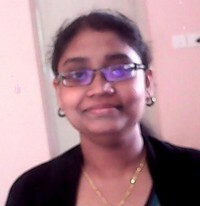 Hey all, I am Megha and contribute to business, internet, and software news sections of Techie News. Hey! This is Ruby, playing the role of Sub-Editor in Techienews.co.uk. I chip in stories I find interesting related to Technology, Business and Gaming. I switch mode to be a Jewelry Designer (by education) now and then, when my creativity is fueled by chocolate. With a passion for breaking through technology and the web, Preethi basks in writing, reading, and learning something new the world has to offer.